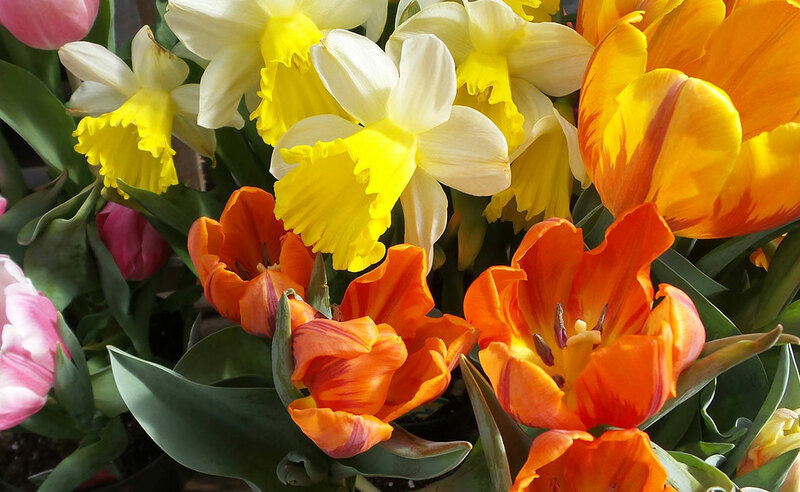 We’ve all been waiting for April and there is so much to do with cleanup, pruning, seed starting, division, transplanting, fertilizing, houseplant care…. Yikes! I find that making a list and prioritizing the tasks helps me to get things done. Force branches for indoor blooms while you’re waiting for gardening season to get into full swing. Apple and cherry are good choices for forcing. The closer to bloom time, the better your success. Gather branches and hammer the stem-ends for better water uptake. Soak the entire branches overnight in a bathtub and then place in a vase or bucket of water and wait for the show. Give houseplants a little attention. Houseplants are “waking up” with the longer days and brighter light. A haircut (cutting back), some fresh soil, some 1/2-strength organic fertilizer and a shower are all things that will usually make your houseplants happy. Get outside and clean out your birdhouses. Soon you will see your feathered friends gathering materials for egg laying. These resources have great tips in attracting birds to your yard: UMaine Extension’s Bird house Basics, Cornell University’s All about birds guide, and Maine Audubon. Hopefully, you have ordered your seeds and have a plan for your vegetable and flower garden. Are you trying some new techniques this year? Find appropriate varieties of vegetables for Maine in Vegetable Varieties for Maine Gardens. Start a garden journal. It will be a great resource in future years. You can add photos and lots of information that tracks temperature and planting dates. You will learn from both your successes and failures. 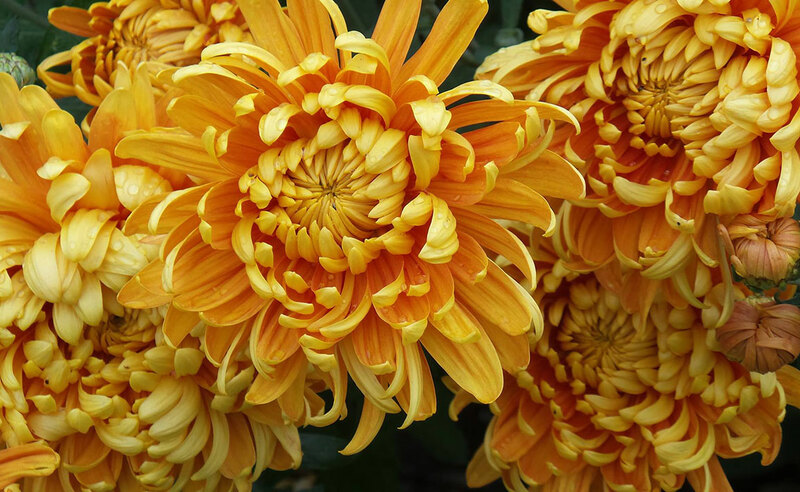 Gather your cannas, dahlias, and begonias, and other tender bulbs that you dug last fall. Pot them up in gallon size pots. Water well and keep moist. Store in a lighted area that doesn’t freeze. Your pruners are sharpened and hopefully you have completed your winter pruning. You can now prune your roses as the buds begin to break, removing dead or damaged canes. Keep in mind, opening up the center of the bush will allow for better air circulation and a healthier plant. For general pruning and more information on pruning roses see Pruning Woody Landscape Plants. Have you done a soil test lately? Your vegetable garden should be tested every 2-3 years to check for optimal conditions. How did your lawn look last year? Staying off that lawn while it is wet and soggy will help avoid compaction. When it is dry, you can dethatch and over seed, then add any nutrients that were indicated in your soil test results. For more information, see Testing Your Soil. Did you get your mower serviced last fall? If not, have it tuned up and be sure the blade is sharp so you cut the grass cleanly and not tear it which encourages disease. Over seed in both spring and fall; it also helps to keep weeds at bay. For more information, see Maintaining a Home Lawn in Maine. Pansies and violas are in garden centers, ready to give you some spring color. 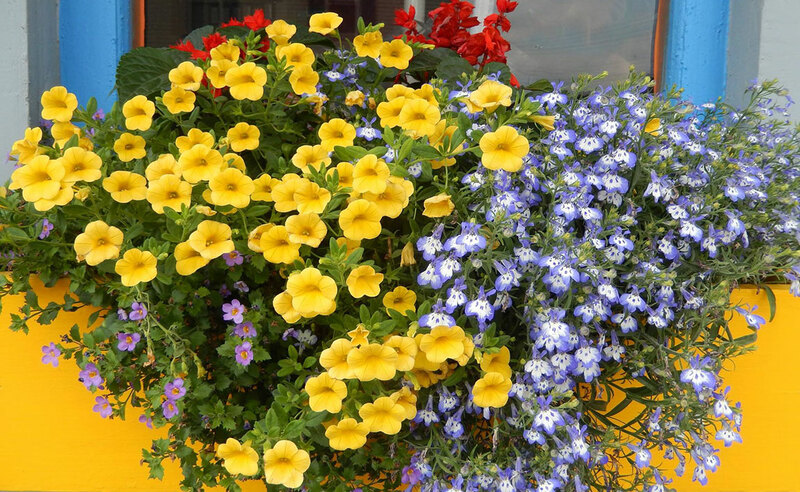 Put them around your entrances or in containers. They will be a welcome reminder of things to come. Are you starting some new beds this year? Do you have perennials to divide and no place to go with them? Consider creating a new garden by laying down cardboard or newspapers covered by mulch to smoother weeds or turf. 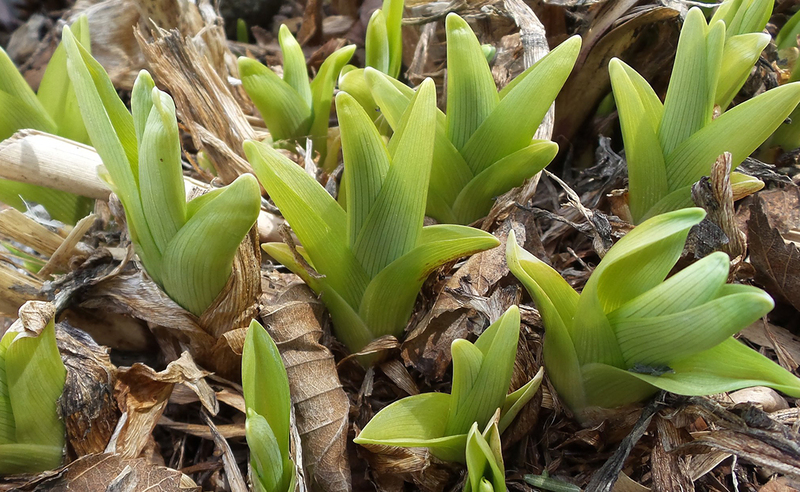 It’s time to get into your vegetable and flowerbeds ready. Do not work wet soils. Wait until it can be worked. As you prepare your beds, remember you can kill self-sowing annuals and biennials if you disturb the soil too roughly. So be patient. 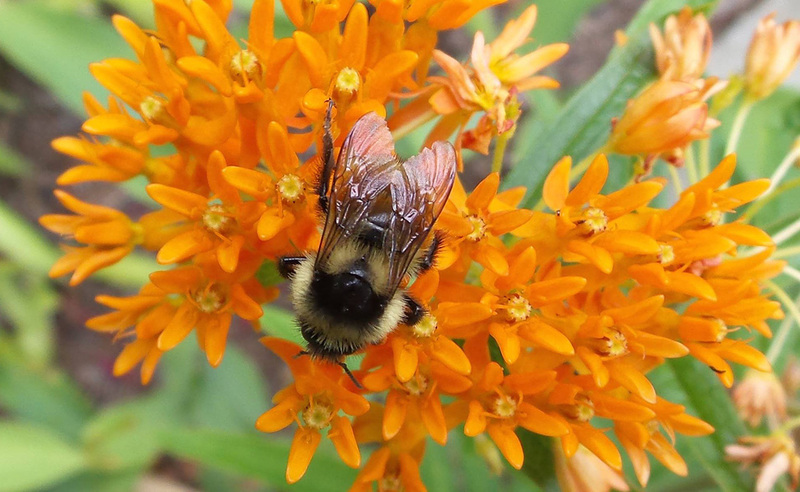 There are free plants that want to volunteer in your garden. Top dress with an organic fertilizer followed by some finished compost. Avoid mulching until the soil is warm. Plant some frost tolerant crops by seed or transplant as soon as the soil is workable. Some choices would be broccoli, cabbage by transplant, and endive, lettuce, pea, radish, spinach, and turnip by seed. Asparagus is the vegetable that lets us know spring has arrived. Once soil temperatures reach 50°F asparagus buds begin enlarging to produce the spears we eagerly anticipate. Here in Maine, it is one of the most popular early spring vegetables, appearing in our gardens and farmer’s markets in early May. Asparagus is a perennial crop, originating in Asia Minor and now grown throughout the world. It has been cultivated for more than 2000 years for culinary and medicinal uses and can be eaten raw or cooked, and is used fresh, frozen or canned. Most commonly we think of asparagus as being green; however, “blanched” or white asparagus is created by keeping the emerging spears in the dark, preventing the development of chlorophyll. The white asparagus has a much more delicate flavor in addition to being more tender compared to green asparagus. Purple asparagus is also available in some farmer’s markets and as a variety to grow at home. Purple asparagus is generally thought to be sweeter than the green varieties. The purple color comes from the pigment anthocyanin, which masks the green chlorophyll. Be forewarned, if you steam or cook purple asparagus in water the result will be green spears. Anthocyanin is a water soluble pigment that is washed out. If you grill, roast or pan sear purple asparagus, it will retain more of its color. Are asparagus or blueberries in your future? UMaine Extension is offering asparagus crowns and blueberry plants for purchase.High-bush blueberry plant pack, consists of three young plants, two varieties per pack, for $35.95 (Blueray, Patriot, Northland or Jersey*) and/or Asparagus crowns, consisting of ten (Jersey Supreme) for $15.00. 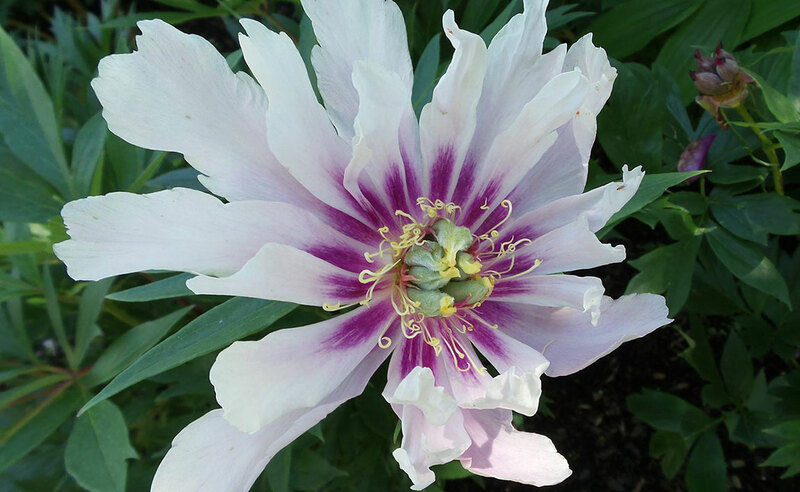 Money raised will assist Master Gardener Volunteer projects and provide scholarships to those who cannot afford the Master Gardener course fee. 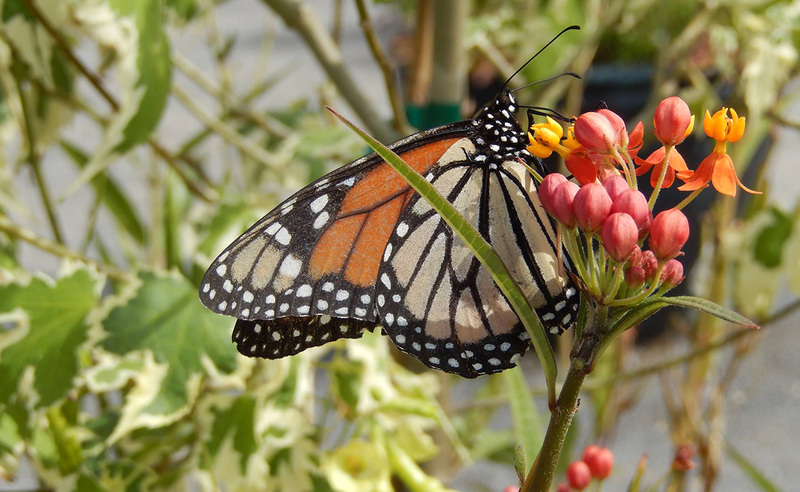 For more information, visit the “Grow It Right!” Benefit Plant Sale. The asparagus plant is composed of modified stems, called ferns, as well as a fleshy crown and an extensive root system. The spear — the portion of the plant that we eat — is an immature fern. 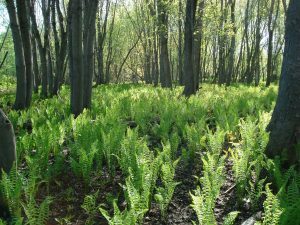 The ferns are the photosynthetically active portion of the plant, which collect light and produce energy. The crown is a swollen underground stem or rhizome with two types of roots that are continually replaced: fleshy and fibrous. Asparagus should be planted in well-drained, fertile soil. The area around newly planted crowns should be kept weed free since asparagus does not compete well with weeds. Newly established planting should not be harvested in the establishment year or the following year in order to build and strengthen the crown. Asparagus is harvested by snapping or cutting the asparagus just below the soil surface when the spears are approximately 6-8” tall. If you have only a small planting of asparagus, spears can harvest and stored until you have a sufficient quantity. Harvested spears should be stored upright at 35 to 40°F, with high humidity. When held under proper conditions, spears can keep for 10 to 14 days. Storage temperatures warmer than 40°F allow spears to continue growing, reducing sugars, and increasing toughness (fiber). 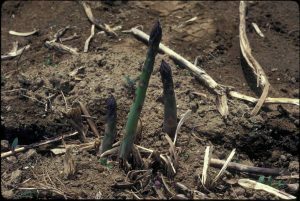 For more detailed information on growing asparagus, please see UMaine Extension’s Growing Asparagus in Maine. 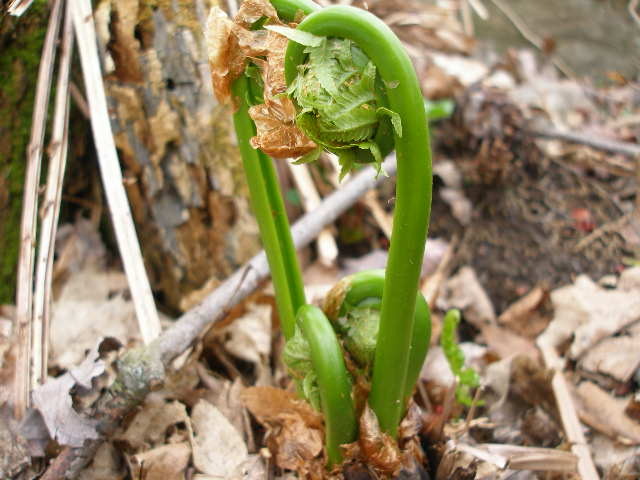 The fiddleheads, or crosiers, when starting to emerge from the crown have a brown, parchment-like covering that falls off as the frond elongates. The inner part of the stem of the fiddlehead will have a deep, u-shaped groove. The ostrich fern stem is smooth, not hairy or scaly. If a fern doesn’t have all three of these characteristics, it’s not an ostrich fern. 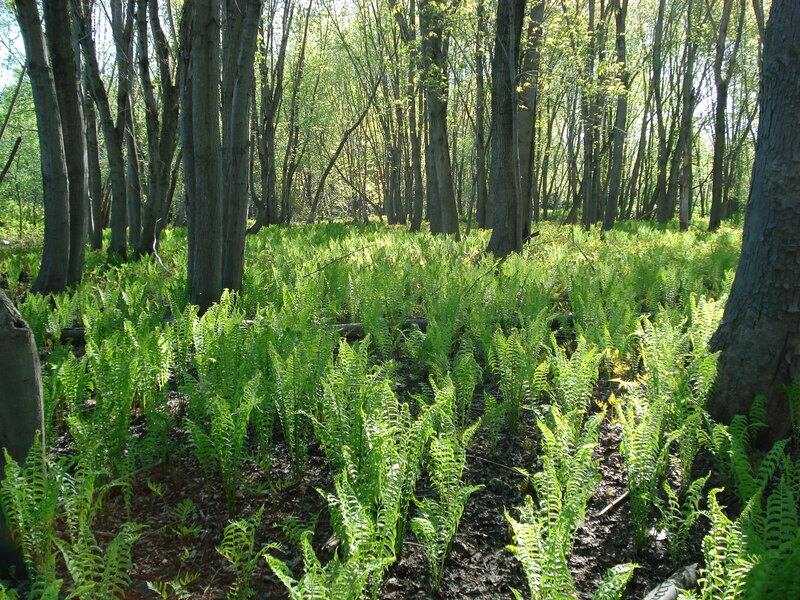 Research done by the University of Maine has shown that fiddleheads must be picked in moderation or the fern may die. Recommendations for a sustainable harvest are to pick no more than one half of the emerged fiddleheads from a crown, with no subsequent harvesting of later emerging fiddleheads in one growing season. Fiddleheads may be picked by just snapping them off below the coiled head, including the tasty stem, or may be cut with a knife, but if using a knife, take care not to cut into adjacent fiddleheads to be left. Make sure to properly cook fiddleheads. Foodborne illness symptoms have been reported by people eating under-cooked fiddleheads. Details on proper cooking can be found in UMaine Extension’s Facts on Fiddleheads. Fiddleheads are a valuable non-timber forest product that are increasing in popularity in part due to the local food movement. Because of their popularity, some fiddlehead grounds are now closed to picking due to over harvesting. Make sure you have landowner permission to harvest on other’s land, and share this information with those who do pick, so we can continue to enjoy this longstanding Maine tradition. For more information on fiddleheads and for recipe and cooking instructions, see Ostrich Fern Fiddleheads. Background: Somerset County is the second poorest county in Maine with 18.6% of the population living below the poverty line.1 Children in the upper Kennebec Valley of Somerset County have few opportunities for low cost, supervised summer activities or camp experiences. In addition, communities in the Upper Kennebec Valley need fresh fruits and vegetables for their food cupboards or pantries because of the persistently high poverty rate. In Somerset County, 45.9% of children are eligible for free or reduced lunch and 37.3% receive SNAP (Supplemental Nutrition Assistance Program) benefits. This exceeds the state average of 26.7% and is the highest of any county in Maine.2 In addition, Somerset County has the highest poverty rate in Maine among seniors at 14.1%. The goals of these gardening efforts were to use Extension research-based information and garden curricula to educate youth about gardening, increase access to fresh fruits and vegetables for low-income county residents, and develop youth’s community leadership skills. To address the needs of youth and seniors, gardening activities were presented in informal settings with the help of Master Gardeners, community volunteers, 4-H program members, and Senior Companion Volunteers. 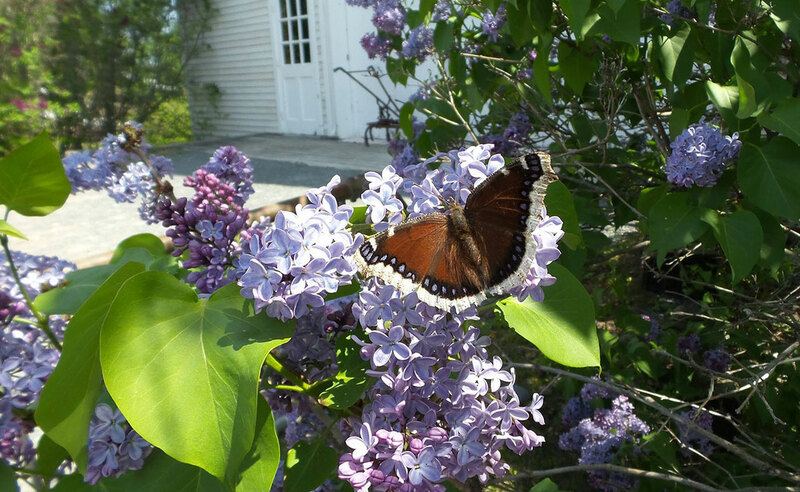 A Master Gardener Volunteer and school staff member in Bingham, Maine, set up a gardening/recycling/leadership development program for two-week periods in the summers of 2009 and 2010. The program was called “Hutopolis” and engaged children in container gardening, square foot gardening, recycling, composting, and building with recycled materials. Local businesses contributed free recycled building materials and children designed and built their own “huts.” They planted and grew gardens, which they continued to care for after the two-week experience ended. Vegetables were used by their families and donated to the Bingham Food Cupboard. In a second gardening effort, the Havin’ Fun 4-H Club, Somerset County Master Gardener Volunteers, and the Somerset County Senior Companion Program started a square foot gardening project at the Somerset County Extension Office in the summer of 2011 and expanded it in 2012. Two Somerset County Master Gardeners taught the club how to successfully garden and properly harvest vegetables. 4-H members replicated their square food garden at home and enjoyed the vegetables with their families. 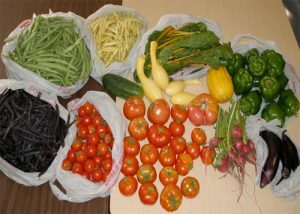 In addition, the Somerset County Senior Companion Program Volunteers received the vegetables raised by the youth and distributed the vegetables to low-income seniors in Somerset County. Participants in Hutopolis returned throughout the summer to harvest, take home, and share their garden produce. They grew cucumbers, tomatoes, lettuce, green beans, corn stalks, and flowers. Green tomatoes were picked and taken home to ripen before the first frost. The Havin’ Fun 4-H Club gardened in four small raised bed gardens. They harvested and weighed the produce weekly. The total after the final harvest was 278 pounds of food from 64 square feet. At $2.50 per pound, the food was valued at $695 and was distributed to low-income seniors. The 4-H youth learned the basic science of gardening skills by learning weed identification, season extension, and harvesting skills. They learned about the value of food and the needs of people in their midst who are food insecure. They also learned that they could be valuable and contributing members of their community by meeting with a few of the Senior Companions and hearing about the difference they made in the lives of seniors.